“Mantis shrimp, let’s go!” Recently, a set of mantis shrimp emoji becomes popular on the Internet, which raises a discussion about seafood. Mantis shrimp is called “Lai Niao shrimp” or “Xia Gu” in the south and “Xia Pa Zi” in the north. It can be cooked with spiced salt, boiled with salt water, marinated when it is raw, etc. The meat tastes fresh, tender and sweet. Don’t you want to have a bite of it? Lately, with a wave of cold air approaching Foshan, the fresh seafood overcomes the coldness and grows into a plump figure, which makes epicures drooling like a tap. 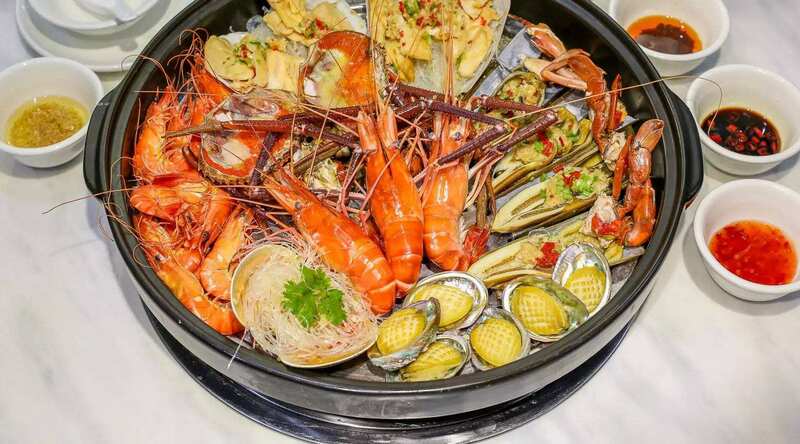 Let’s search for the best places to eat fresh seafood in Foshan. If you want to taste the freshest seafood, seafood market is the place for you. All kinds of fresh seafood are swimming in the pools. After picking your favorite, you can ask the shopkeepers to deal with it, take it home and do it yourself, or take it to the restaurants nearby, which is cheap and safe. There are many seafood markets in Foshan, among which GD-Fishmarket in Yanbu takes up 100,000 square meters, five times as large as the market in Huangsha, Guangzhou. It is famous for its large volume and various kinds of seafood, which is a test of selecting skills. At 4:00 a.m. every morning, stands start to open. Hairy crabs and prawns are the most popular seafood. Shells are known for their low price and delicious taste. 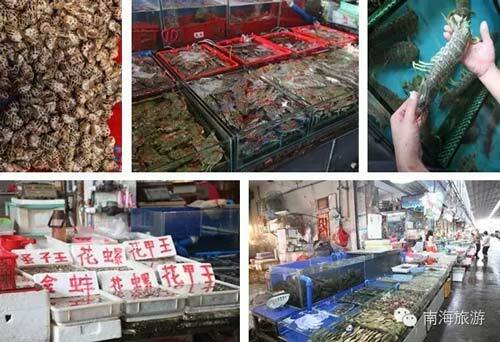 The price of seafood in this market is lower than that of other markets so many people from Chancheng, Guicheng and even Guangzhou will drive here to purchase. Shunde is well known for its pursuit of delicacy, but an effort to build a huge world of ingredients in order to eat fresher and cheaper seafood is really unbelievable. In Guotong Ingredient Center (GTIC) in Shunde, there is a lot of new and interesting seafood, which is a treat for the mouth and eyes. Set up by a logistics company, the seafood market has a great advantage as the first place of arrival of seafood transportation. Transoceanic fresh seafood is sent to the dinner table of customers in 24 hours. Freshness is borderless! The degree of freshness of ingredients decides whether steamed seafood is good or not because steamed seafood reserves the natural flavor of seafood. A seafood sauna is an evolved cooking way that a waiter will put all of the ingredients into the pot and cover it without oil and salt. Different ingredients take different amount of time to cook. Soon the steam comes out with a tasty smell of food. The seafood after sauna is very fresh and sweet, reserving the original flavor. After tasting the delicious seafood, try the sweet and crisp vegetables absorbing the flavor of seafood. Except for regular steaming pots, there are also waterless steaming pots with special steam cookers. There is no water in the pot. An electrical machine generates hyperthermal air going through water, which brings water vaper to the pot through a central air hole at the bottom of the pot so that food can be cooked. One of the advantages of this pot is that soup is made of pure distilled water and soup bases. It works similar to a famous dish Yunnan steam-pot chicken. The difference is that when steaming seafood, a lot of gravy will flow into the pot, making the soup smell like a breath of sea. When mentioning sashimi, most people will think of Japanese sashimi immediately. 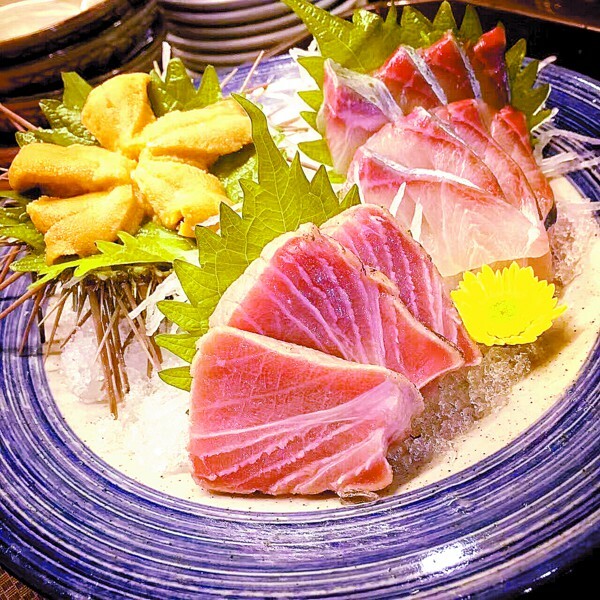 Japanese sashimi, sliced raw fish, is a kind of raw food that fresh fish and shells are processed by proper ways of cutting and enjoyed with sauces made of soy sauce and wasabi. In the past, when fishermen in Hokkaido, Japan were serving sashimi, because it was hard to distinguish different types of fish after peeling, they would stick some fish skin to the fish with bamboo sticks so that people could distinguish. The bamboo sticks and fish skin on the fish was called “sashimi”. Although the way of distinguishing is not used any more, the word “sashimi” is kept. 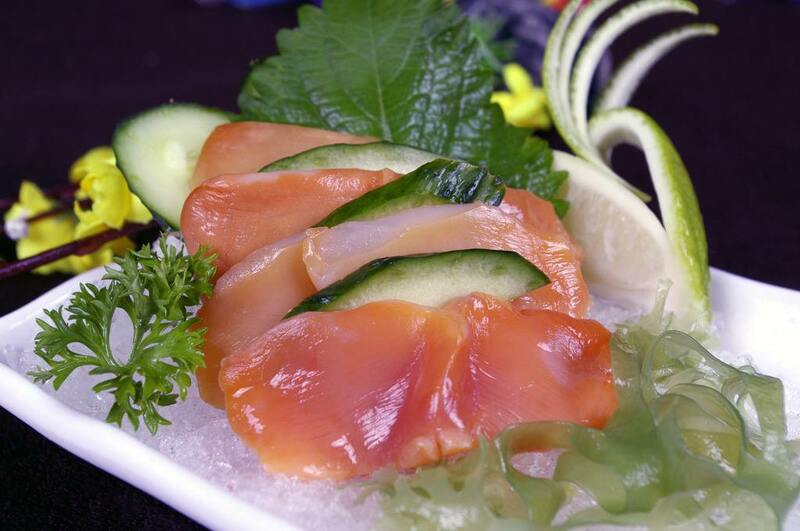 In Foshan, you do not need to go to a hotel to eat Japanese sashimi. Many little-known small Japanese food restaurants can offer fresh sashimi. For example, the Atlantic tuna in Fresh Fisheries is of fine quality. The fat on large-sized tuna covers densely like snow and melts in the mouth. But some people will think that it is too greasy because of too much oil. 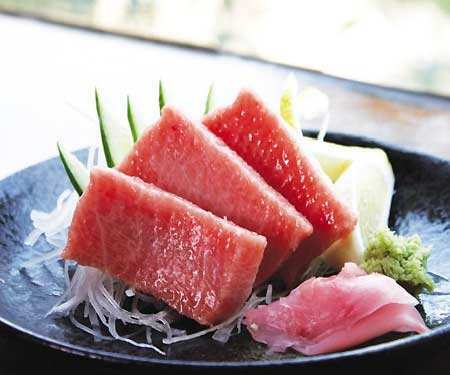 This restaurant chooses small and medium-sized tuna that has a mellow taste and rich texture without feeling greasy. 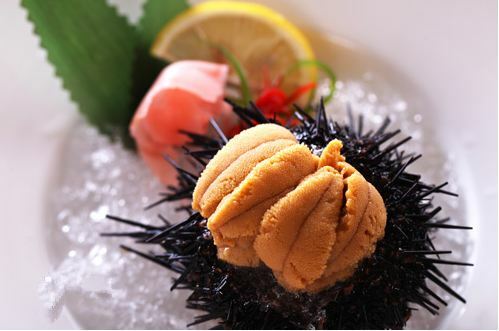 The sea urchin in Tokachigawa is iced for 10 minutes with lemons and salt, and then dried for customers. Putting a spoon of it in your mouth, you can feel the soft and dense texture with a special mixed flavor of salty sea water and fresh lemon. One of the specialties in Ma Tian Japanese Cuisine is ark shell sashimi. Live and refrigerated ark shells have very different tastes. Sashimi made of fresh ark shells tastes sweet and chewy, making you want a second bite.